Home/Marketing & Infographics/Why Join our Affiliate Program? 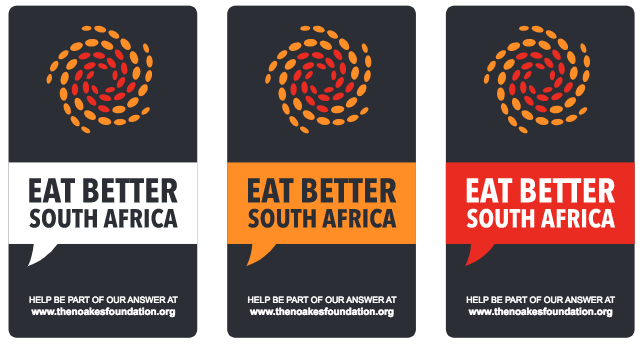 The Noakes Foundation is an internationally recognized Public Benefit Organization (PBO) founded by Prof Tim Noakes, an A1 rated scientist, doctor and researcher. 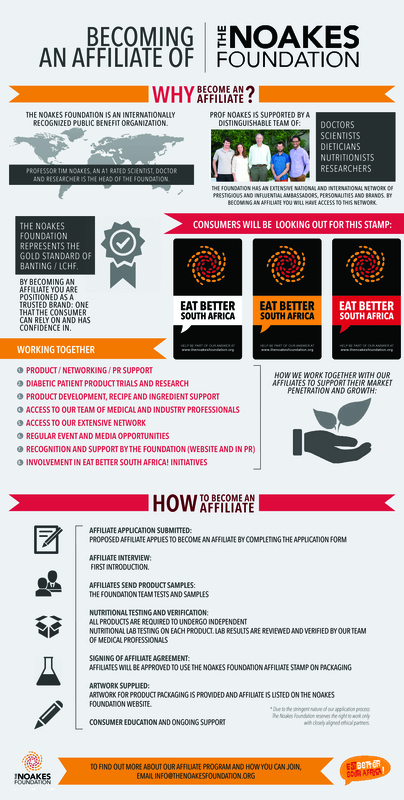 The Foundation is supported by a distinguishable team of health experts, Doctors, Scientists, Dieticians, Nutritionists and Researchers and has an extensive national and international network of game changing ambassadors, retailers, innovators, educators and brands. All those involved are committed to changing the world. By becoming an affiliate of the Foundation you are positioned as a trusted brand and one that the consumer can rely on and has confidence in. How do you go about becoming an affiliate? Artwork supplied: artwork for product packaging is provided and affiliate is listed on The Noakes Foundation website. * Due to the stringent nature of our application process The Noakes Foundation reserves the right to work only with closely aligned ethical partners.